Did you know that a human can go for almost forty days without food? Another interesting piece of trivia for you is that the human body can only survive a maximum of two or three days before health will start to deteriorate rapidly without water. The length of time will be determined by a number of factors of course – external temperature and body temperature, overall health, weight, etc. The reality is most of us simply don’t drink enough water. It is recommended that you drink eight or more glasses of water per day but the majority of us don’t get even close to that. Is drinking water before bed dangerous? For most of us, drinking water before bed is only really dangerous in the sense that it makes us wake up in the middle of the night to use the toilet. 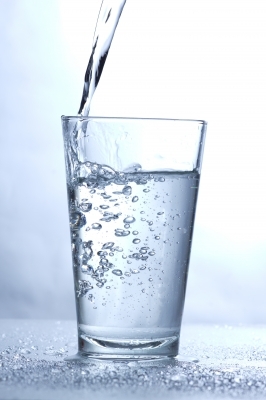 If you’re in good health and have no other medical concerns or problems, drinking water before bed is a great idea. It’ll encourage toxins and other bad compounds to be flushed out of the body and it’ll also hydrate and nourish the body as you sleep which is when the body works its most hardest to rejuvenate and revitalize. It will promote natural sleep patterns. When you drink water before you doze off, you can help to balance out the hormones, leaving you capable of sleeping soundly. Your muscles and joints will be hydrated and relaxed, again ensuring you get a good night’s sleep, and when you wake up in the morning, you’ll feel a lot better than you would have done if you hadn’t drunk water before bed. If you regularly suffer with leg cramps during the night, drinking water before bed is also a great idea to ensure the muscles are kept subtle. It’s usually after working out or spending long period of time standing up that you’ll find these cramps are the worst and this is because your muscles are in need of hydration and nutrition. Drinking water before bed can also help you to lose weight especially if you drink ice cold water. Your body will need to work to heat up the fluid to body temperature therefore burning calories. Technically, you’ll be losing weight as you sleep. If you have a heart complaint or a kidney condition, drinking water before bed can actually be quite bad for you. The water you drink will put more force and pressure on the kidney and other parts of the body necessary to process it, and the fluid removal will not be an easy process, often causing pain. If you already have difficulty sleeping, drinking water before bed will aggravate the problem, often leading to you need to get up and nip to the loo just as you were about to drift off, starting the process from square one all over again. If you are the kind of person who doesn’t work well on minimal sleep, avoid drinking water before bed to avoid disrupting your already difficult sleep patterns. If you want to make sure you’re getting the recommended daily intake of water, by all means drink it but avoid any fluids at least two hours before you go to bed to ensure you are not awoken by your bladder. If you are unable to drink water before you go to bed because of the conditions we’ve listed above, you can still benefit and fit in those eight glasses you’re meant to drink. If you drink one glass of water when you first wake up in the morning, you’ll be kick-starting your metabolism, making it get to work to burn calories. If you drink ice cold water, you’ll get even more benefits as a result of the temperature increase required. If you drink water before you eat a meal, whether it’s breakfast, dinner or supper, you will not only consume fewer calories but also get to work burning the meal off quicker. Water also helps to ‘lubricate’ the meal meaning it will be digested quicker, plus waste products will be expelled from the body quicker. If you are having a tough time going to the toilet, the first thing you should do is drink some water. You should always make sure you drink plenty of water before, during and after you exercise as the body needs the hydration most during this time. If you are dehydrated, the cells in your muscles won’t work as they should and you’ll not only have an increased chance of getting an injury but you’ll also find that you ache and are in pain for a lot longer afterwards too. If you want to get over the post-workout-aches quicker, drink more water. If you are ever sick, whether it’s a cold, flu or something more serious, drinking water is always a wise idea. If you have caught the common cold or flu, your immune system is down and your body needs all the help it can to get those white blood cells fighting off the bacteria, virus or bad bug. It will have a hard time doing this when you are dehydrated. Previous articleIs Couscous Gluten Free?